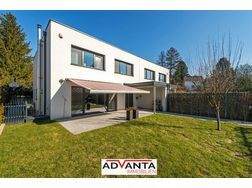 Diese elegante gemütliche Familienvilla - auch sehr gut geeignet als Business Zentrum, Ordination,Kanzlei, Firmen Residenz - liegt nahe am Grüngürtel. Apotheke in 2-5 Minuten zu Fuß erreichbar. Das Haus liegt auf einem 1. 164 m² großen Grundstück und hat eine Gesamtnutzfläche von ca. 650 m². Zusätzlich befindet sich auf dem Grundstück derzeit ein Nebengebäude mit ca. 70m² welches laut Bauordnung erweitert werden kann. Derzeit sind in diesem Nebengebäude Garagen für ca. 4 PKW untergebracht. Auf der befestigten Hoffläche findet man Abstellflächen für weitere ca. 5 PKW. 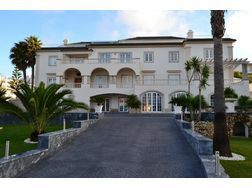 Elegant comfortable family villa also very well suited as a business centre, ordination, law firm, corporate residence. 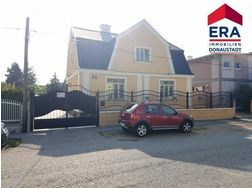 Currently the property is used by residential basement: complete living area with kitchen bathroom and bedroom is installed ground floor: kitchen, living room, hallway, WC, terrace upstairs: 5 bedrooms, bathroom with shower and toilet, Gallery, balcony attic: 2 rooms , Anteroom, bathroom bus stop is located directly in front of the House, train station is approximately 600 metres shopping centre, pharmacy in 2-5, minutes walking distance. The House is set on a 1,164-m2 plot and has total lettable space of approx. 650 square meters. In addition, a neighbouring building with approx. 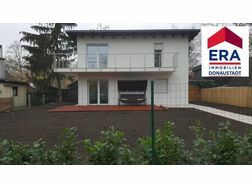 70 m², which can be extended according to the building regulations, is currently on the property. Currently, garage for four cars are housed in this building. On the paved courtyard area, you will find shelves for more about five cars. All information is without guarantee and based exclusively on information which was made available to ********** the owner; we do not accept any responsibility for the correctness, completeness and up-to-dateness of this information.